Click the small arrow to advance to the next track. MacNaughton’s first self-produced album is an intimate, poetic journey. 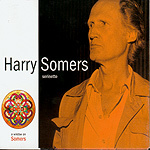 Guitarias includes compositions for voice and guitar (hence the name: guitar/arias) all performed by the singer accompanying himself: John Beckwith's Beckett Songs (three songs to poems of Samuel Beckett), Leslie Uyeda's Flower Arranger (a single song to a poem of Joy Kogawa), and William Beauvais' The Truth of Matter (four songs to poems of Linda Hogan), which were all commissioned by Doug MacNaughton. Guitarias also features John Rutter's Shadows (eight songs to various poets of the 16th and 17th centuries), which were published in 1997. 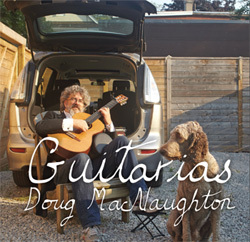 This is MacNaughton’s fourth recording as a singer, but marks his debut recording as a guitarist. 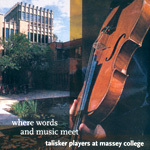 “I am fascinated by the artistic effect of playing and singing at the same time”, explains MacNaughton. “The guitar’s portability makes it possible to perform in intimate and unusual acoustics. 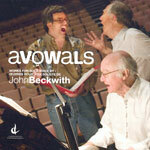 There's a deeper connection between the voice part and the accompaniment, because the singer is the accompanist.” For this recording project, Doug teamed up with sound engineer Paul Hodge and producer Sung Chung. “We considered recording the voice and guitar separately”, he adds, “but in the end, we decided to record both together at the same time in the welcoming, resonant acoustic of St. George the Martyr Church." music by Manning Sherwin, lyrics by Eric Maschwitz. You can also listen to Doug on his Artist's Page at CBCMusic.ca.